Lychee—a delicious tropical fruit—can be enjoyed year-round. A member of the soapberry family (along with other flowering trees like maple, ackee, and horse chestnut), the exotic tree that bears this fruit is native to China but can grow in certain regions of the U.S. Nutritionally, lychee (sometimes called litchi) contains antioxidants like Vitamin C and Vitamin B-complex. In fact, eating lychee aids in the production of red blood cells, and its disease-fighting flavonoids, like quercetin, are said to inhibit both heart disease and cancer. When buying lychee (or picking them straight from the tree), choose fruit with a bright red skin that is larger than 1-inch in diameter. Check for ripeness by gently pressing on the skin with your thumb. 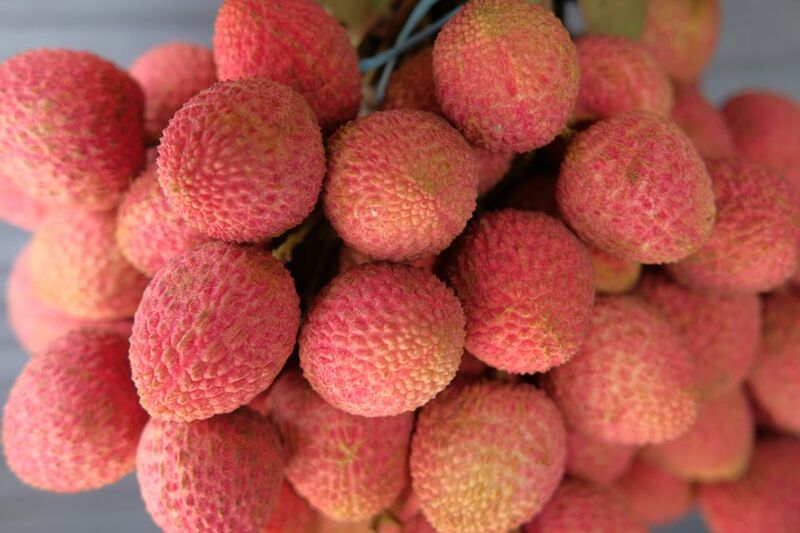 Ripe lychee should be vibrant in color and should give a little when pressed (if it's too soft, it may be overripe). Ripe lychee will also have a lush and floral perfume and they will taste sweet, but not overly so. Keep in mind that once picked, lychee ceases to ripen, making it imperative that the shipment is fresh if you're buying them from the store. Your thumbnail works best for piercing open the bumpy outer "alligator skin." Once you uncover the fruit, gently peel the skin back, similar to the technique used to peel an orange. The skin of ripe lychee should pierce easily and come off fairly effortlessly. As you peel, pop a few in your mouth, but watch out for the hard stone that is located at the center of the fruit. You'll want to spit that out. 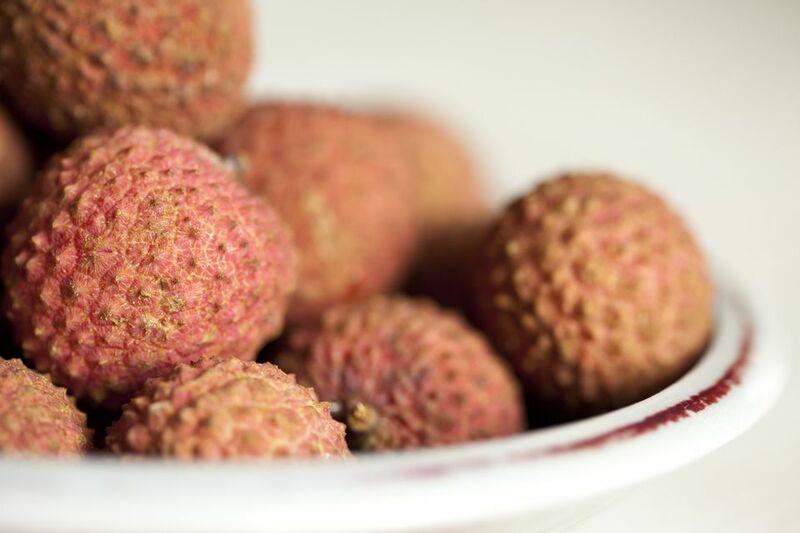 If you're preparing lychee to serve fresh and on its own or for use in a recipe, peel the fruit, and then carefully score it in half to reveal the stone or seed. Next, open up the two halves of the fruit. The seed should stick to one side, similar to an avocado. After that, use your finger and thumb to pinch and slightly dig under the other side of the stone to remove the seed. Ripe lychee should expel its seed quite easily, but don't worry if the fruit tears a little in the process. After you've removed the stone, place pitted lychee in a bowl and serve them as a refreshing summer snack. You can also add ripe lychee to a fruit salad, a green salad, or make a sweet sauce to accompany savory dishes. Boil the fruit with sugar and water to create a simple syrup that can be added to cocktails (like martinis), ice cream, and sorbet. Or, use it to flavor a sweet summer tea. Consider combining lychee with oatmeal and cashews for a yummy breakfast treat. Use the fruit as a focal point to a cheese plate, complete with mild chèvre and cheddar varieties. Or put your bounty of "alligator strawberries" to good use by experimenting with other tried-and-true ​lychee recipes. Lychee pairs well with tropical fruit like mango, coconut, banana, passion fruit, and pineapple, so keep that in mind when creating new concoctions.